One of Grenada’s leading companies, Geo. F. Huggins and Company Grenada Ltd. has partnered with the Ministry of Health to promote and create greater awareness of the threat of the H1N1 and Zika viruses. Geo. F. Huggins is the first major company to align itself with the Ministry of Health, as surveillance systems are in effect and health officials remain on guard, throughout Grenada. The move forms part of the Ministry’s ongoing efforts to prevent the introduction and spread of the both viruses, in light of confirmation of cases in some Caribbean and South American countries including Trinidad and Tobago, Barbados, Venezuela, among others. 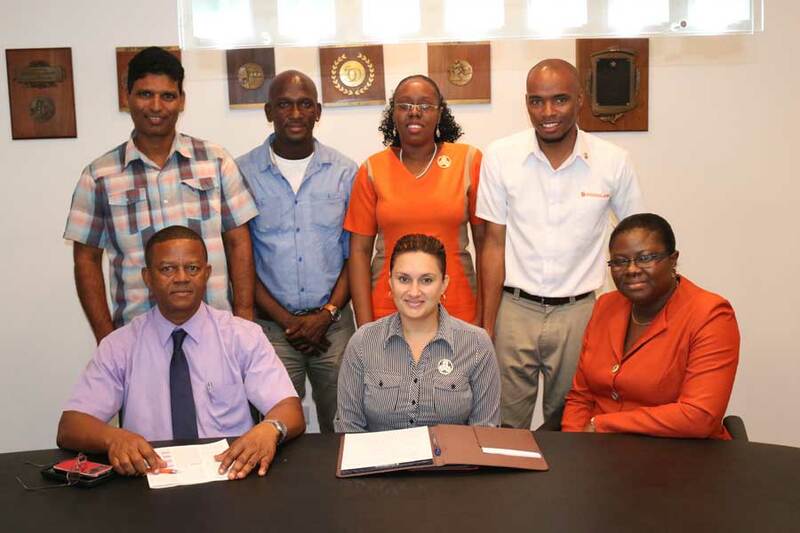 The Private Public Partnership (PPP) between the Grenadian Health Ministry and Geo. F. Huggins was hailed by the island’s Chief Medical Officer Dr George Mitchell, as timely and priceless, given the seriousness of both viruses and the impact it can have on humans and the country in general. The Ministry of Health/Huggins alliance began after Communications/Information Officer – Keville Frederick, and Environmental Health Officer – Dhanraj Ramkhelawan, approached Mrs Anya Chow Chung – Huggins Executive Assistant, to consider ways in which Huggins can assist the Ministry in educating the populace on the viruses. With the emphasis on public education and awareness, Huggins committed their full support to the cause recognizing the importance of having a strong, healthy workforce. In discussion with Mrs Chow Chung and her team on 21 January 2016, it was announced that Huggins will undertake several activities including in-store and on-compound exhibitions and information sharing, farmer’s route, the airing of public services announcements on radio and television. Additionally, the company has agreed to play and display H1N1 and Zika messages at their supermarkets, printing of educational materials among other activities. The first major activity of the Ministry of Health/Huggins alliance will take place next Friday, 29 January 2016, at the Foodland Market Square in St George’s. The second activity will take place at the Foodland Supermarket on Kirani James Boulevard on Saturday, 30 January 2016. Meanwhile, the Ministry has also received support from 3 radio stations namely, WeeFM, Real FM and CHIME FM.